SEO, simply put, is the science/art of designing and implementing a website so that it shows up well in search results for searches that are related to the website content. 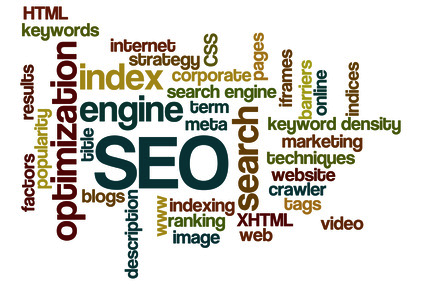 SEO (Search Engine Optimisation) is becoming more critical for websites to attract traffic and is of particular importance to business websites to inform people about products or services they provide. Without good SEO is it near impossible (or expensive) to be ‘seen’ online. SEO focuses both on the content of the website and technology (or mark-up) used to author the website. First off an analysis is performed to determine what keywords or phrases are being actually searched for that relate to the website in question. Then the website is modified to utilize those keywords or phrases in the content, as well as ensuring the website mark-up is ‘well formed’ (e.g. the search engines can read the content of the site well). A variety of technical techniques are used to ensure the content and markup is just right. See the video below for a visual representation of how SEO is done. Google and other search engines rate the significance of a website by the number of links to that website from others which are in themselves important. Offsite SEO is the process of building links back to your website from numerous websites that are related to the subject area of your website. Over time this improves your rank score. Aykira has in depth experience performing SEO to numerous websites. Please either give us a call on (02) 8407 8060 or use our contact form . We are based just outside Sydney.